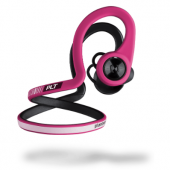 At CES 2016, Judie and I had a chance to check out the Plantronics BackBeat FIT. We were impressed and said so in our review last February. (Read the review.) Fast forward a year, and the BackBeat FIT is still going strong. A few things have changed, so we thought we would take a second look. As unstoppable as you are: When it comes to your workout, nothing gets in your way. Stay focused and distraction-free with wireless sport headphones that stay comfortably in place. 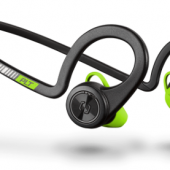 BackBeat FIT provides superior stability with a behind-the-ear design and comfortable eartip. The only reminder that you’re wearing them is the rich sound of your favorite playlist or podcast pushing you to your next personal best. 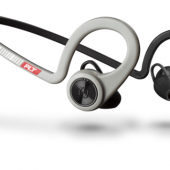 Plantronics engineered the BackBeat FIT for use during workouts and similar activities. That’s why they made sure to produce a product that was both flexible and durable. The flexibility means the headphones, which are designed to wrap around your ears and your head, have a clear structure to them while also being malleable enough to conform comfortably to your head and ears. 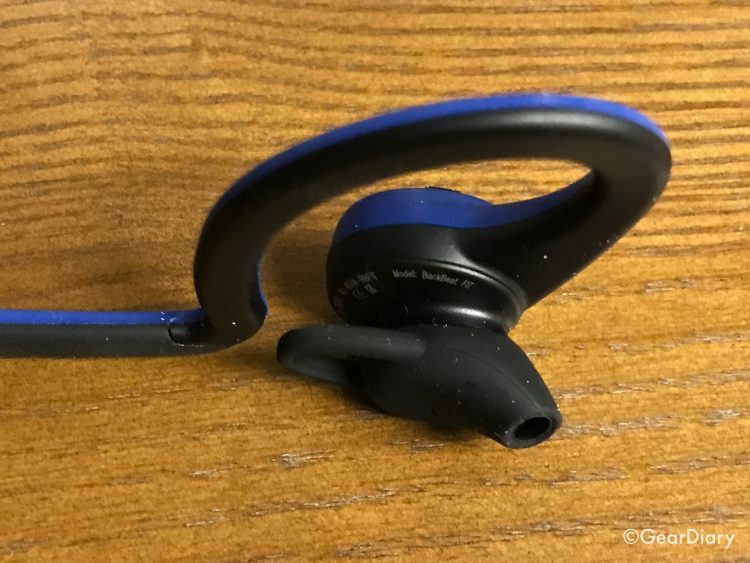 I find they are able to stay in place comfortably without the pressure that is often present when headphones are designed to stay in place during movement. That is something that should not be taken for granted. 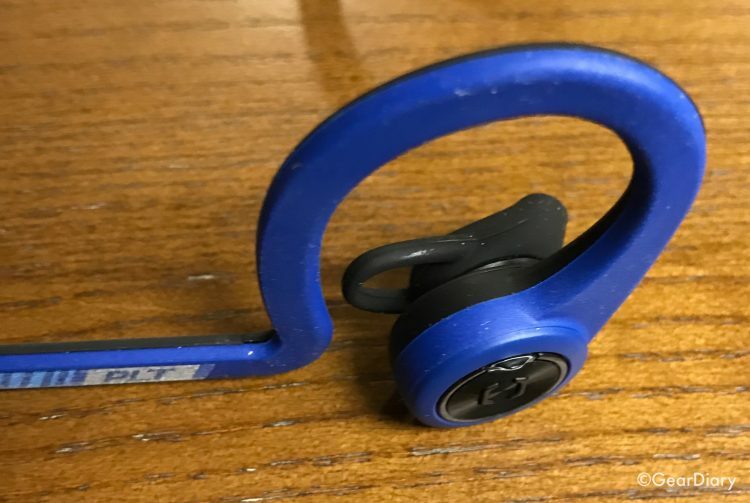 After all, when you are working out you don’t want to be thinking about your headphones falling off but you also don’t want to be distracted by headphones that are putting too much pressure on your ears or neck. 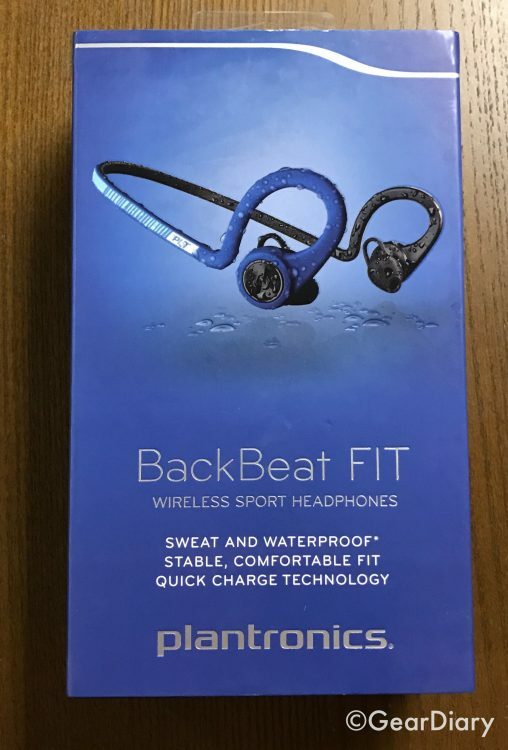 The durability comes in the form of an IP57 rating and an additional sweatproof nano-coating that is applied to the BackBeat FIT. 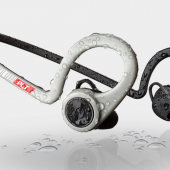 The result is a pair of headphones that won’t be deterred by sweat during a workout, that can withstand a sudden shower and, believe it or not, can even be rinsed off in the tap when they have gotten mucked up. 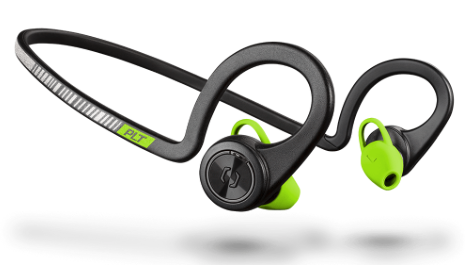 So, from the perspective of using the BackBeat FIT for workouts, these headphones have you covered. There are, however, two other aspects that are important to note. The first has to do with safety. When the weather gets nice I like to be out running. Thing is… I get bored easily. I can’t run without music. Thing is… that’s not safe. Thing is… the BackBeat FIT have you covered in this regard too. 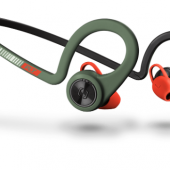 As the company explains, “…whether you wear them running roadside or on the trail, the open ear tip design lets you hear the sounds around you.” That means you get the best of both worlds. You get to listen to music while you work out, but you don’t become so isolated that you put yourself in harm’s way. The second has to do with sound. If I want amazing sound, then I want headphones that block out as much outside noise as possible. As we already saw, that’s not the idea behind the BackBeat FIT. So there is going to be a tradeoff between safety and sound quality. The good news is that the tradeoff isn’t all that significant. The BackBeat FIT are open enough to let in sound but they still sound pretty darn good. No, without a tight deal you aren’t going to get deep booming bass but this isn’t about having an audiophile experience. 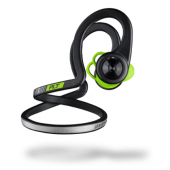 AND, if you do want deep rich sound the BackBeat FIT CAN deliver. I found that when I wrap a BUFF “scarf” around my head if forces the BackBeat FIT to increase the seal in my ears. When that happens the sound is much improved. So one headset can serve both purposes. And while I would not look to these are your main listening device, it is good to know you can improve the sound when you want to. You never quit. Neither should your headphones: With up to eight hours of listening from a single charge, BackBeat FIT helps you power through a full week of workouts. Subtle voice alerts let you know how much listening time you have left, and the 15-minute quick-charge provides an hour of play to get you through the day’s challenge. So with the BackBeat FIT, you get headphones that offer a secure, comfortable fit, are designed for durability, and let you remain aware of your surroundings. 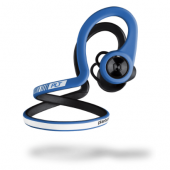 They have easy to use on-ear controls, have a reflective finish and come with a free companion app. 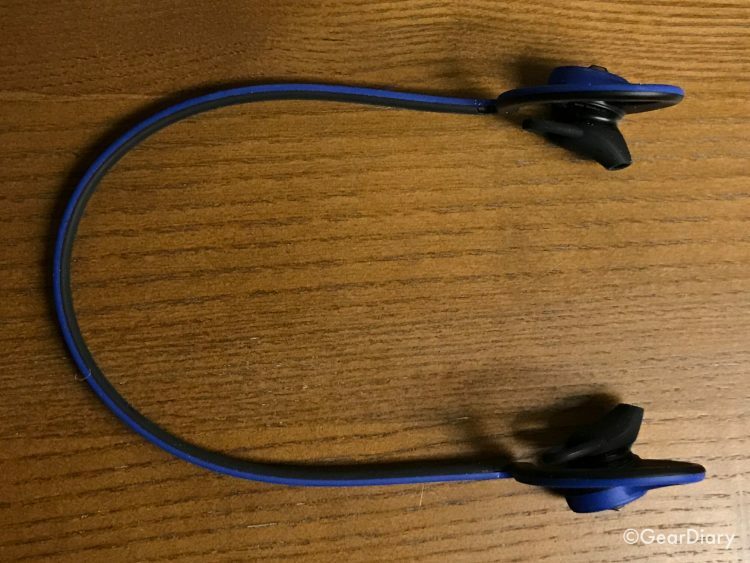 All that remains the same as it was when we reviewed the BackBeat FIT last year. Some things have, however, changed. The first change is the addition of great new color options. 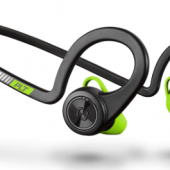 When we first saw the BackBeat FIT the headphones came in two color options. Now there are five “bold, energizing colors” from which to include. They include: Fit Fuchsia, Stealth Green, Sport Grey, Power Blue and Black Core. That’s great for those who care about fashion even as they work to keep fit. The second change is that, a year ago, the BackBeat FIT shipped with an armband/case. The version that is shipping now does not but has the same MSRP. Honestly, I don’t think this is a loss. The armband fro last year really didn’t work for larger phones and, as the size of phones is now all over the map, anything Plantronics might include would likely be too large or too small. It is safer for them to simply leave it out… which is what they did. 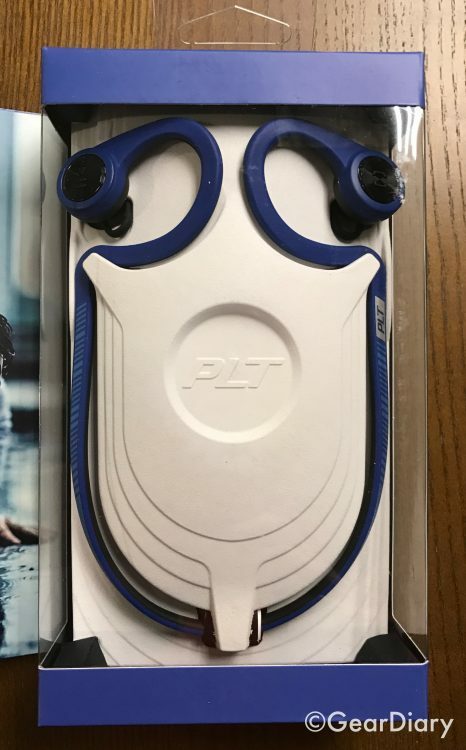 In short, if you are looking for a pair of headphones that are ready for your toughest workout, sound good and, with a small adjustment can sound even better, and have safety features that include a reflective material that will make it easier for cars to see you and let in a degree of ambient sound so you can hear your surroundings, these are the headphones for you. Check them out here: Plantronics Headsets and Accessories .